Bison, Barley, Flaxseed, Salt, Sugar, Garlic Powder, Tomato Powder, Paprika, Sweet Whey, Natural Smoke Flavor, Black Pepper, Whey Protein concentrate. 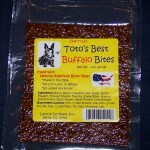 For retail purchases, please request “Toto’s Best Buffalo Bites” at your favorite pet supply store or website! 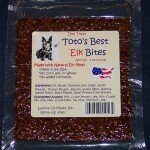 Elk, Barley, Flaxseed, Salt, Sugar, Garlic Powder, Tomato Powder, Paprika, Sweet Whey, Natural Smoke Flavor, Black Pepper, Whey Protein Concentrate. 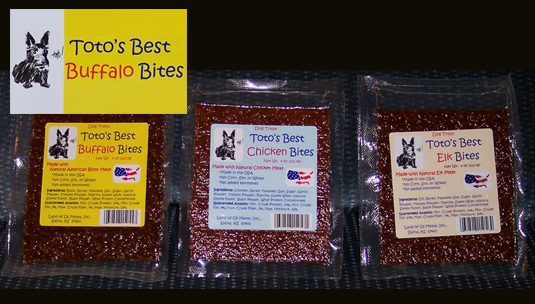 For retail purchases, please request “Toto’s Best Elk Bites” at your favorite pet supply store or website! Chicken, Barley, Flaxseed, Salt, Sugar, Garlic Powder, Tomato Powder, Paprika, Sweet Whey, Natural Smoke Flavor, Black Pepper, Whey Protein Concentrate. 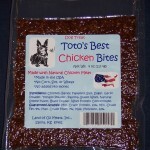 For retail purchases, please request “Toto’s Best Chicken Bites” at your favorite pet supply store or website! © 2019 Land of Oz Meats. All Rights Reserved.